With a rapid shift in the global fabric, India is changing fast, and architects have modified themselves to cater the needs of the same. Globalisation surges on, changing all the levels of social and economic strata. Architects need to be a major stakeholder in ushering this new development, but the status of acceptability of architects in this country makes that a challenge. Call it a communication gap, or simple unawareness, the fact that majority of Indians don’t realize the potential of architects is a valid concern. The future holds limitless potential but harnessing it will require a multifaceted approach from architects. Being professionals dealing directly with a basic human necessity, we possess certain qualities that can influence human lifestyles for the better. As individuals belonging to the architectural fraternity, we will have to widen the realms of our profession in the future. Architecture alone is no more the powerful tool that can influence the people to believe in itself. Architects have to explore other career options and interact from therein. As such, here is a comprehensive set of alternate career options that architects can surely venture into for crafting an extremely fulfilling career. Bureaucratic officials: Architects should join the Administrative Service to work in direct contact with the Central Government for the betterment of the people. All architects are leaders by profession, and putting these qualities to the use of society only seems justified. Politicians: The progressive vision architects have will make them ideal candidates for politics. Spreading positive propaganda, engaging with common people about the necessity of architects and responsibly leading the community towards sustainability will be the goal. Military Personnel: Architects should actively join the army to facilitate efficient engineering and construction. All the three divisions of the Army recruits architects, and it’s high time we pay some interest. Entrepreneurs: Architects have a deep business intellect, and entrepreneurship is an option to consider. Historian: Architects have been trained in history and culture, and we have a different perception of history from the books. An architect with an inclination towards history should pursue a career as a historian. Museum/Exhibition Curators: We have to admit that architects can be great curators. Architects with their knowledge of art, history, and design can design exclusive exhibition spaces, and shortlist important items of display, arranging them into a single storyline for an enriching experience. Conservative Archaeologists: India being a land full of old architectural places and relics of historical value, a conservative archaeologist is an exciting job prospect for an adventure loving architect. Fashion designer: Architects have a flair for fashion, and it only seems fair if someone wants to take that flair to the next step. Someone might want to get a degree, whereas someone would want to open their own boutique having an exclusive range of architecture inspired clothing. Art Director: Art is the forte of architects, and taking this up as a profession is a legitimate deal. Architects can work as art directors in publishing houses, films, as well as other companies dealing with visual media generation. Cartographers: Architects have a deep relation with satellite maps, and cartography is a theme which inspires many. Architects with a holding for urban design can definitely apply for cartographic positions all over the world. Cinematographer: Architecture schools have given us many gifts, cinematography being one. Taking that skill to your profession would be an enlightening experience. Game Architects: Gamer who have turned to architecture will surely be interested in working for Computer-based game development. Gaming Architecture has been a sensation in the western world. Product/User Experience Designer: Everything from the toothpick to the mobile is a product designed to offer maximum comfort to the user. The role of architects is increasing in this industry and therefore, definitely is an opportunity. Naval/Weapons System Architect: For those rare explorers having an attachment to weapons and ships, this is just the right life for you. The name explains the rest. Space Architect: This involves the design of spacecraft, satellites, space station and similar space related things. This is a rare thing in the present world, for only those ambitious and brave ones. Journalist: For those writers/photographers out there trained in architecture, it would be the world of stories. This is perhaps the one profession at the present world which has taken pace, and is increasingly being encouraged, if not fully realized. Photographer: Architecture is one of the best mediums to express love through photography. Enthusiasts can always take architectural photography as a part-time job, or convert it to a full-time profession with the right zeal. Authors: Architecture students who write well should always try to follow their passion to publish articles and write for a profession. Architectural Explorers: This profession requires a person to be a writer and a photographer with a zeal to explore places with an unconventional mindset. A freelancer explorer working with organizations to produce architectural documentaries would be the dream of many architects including me. Culinary Artist: Architects with a love of cooking or baking can always take up the idea of creating architecture inspired dishes and making a fortune out of it. There are instances where architects into baking have taken up the initiative to establish their own bakery producing inspired cakes and pastries. The main factor binding all these professions would be the Design Thinking. The physical manifestation of that can be channeled through a lot of options, the activity of building being just one of the many. In the future, architects will turn into explorers to actively engage into unknown traditions, realms, and cultures only to deeply feel the enigma of it before implementing those into architecture. They will be aware of their social responsibility and actively respond to the same. The future is bright and green only if we realize that we have to engage the community actively to bring in a change. Other than our words, our actions will speak of our intents and motivations that day. Shubhayan Modak is a graduate architect from Dept. of Architecture, Town & Regional Planning, Indian Institute of Engineering Science & Technology, Shibpur. 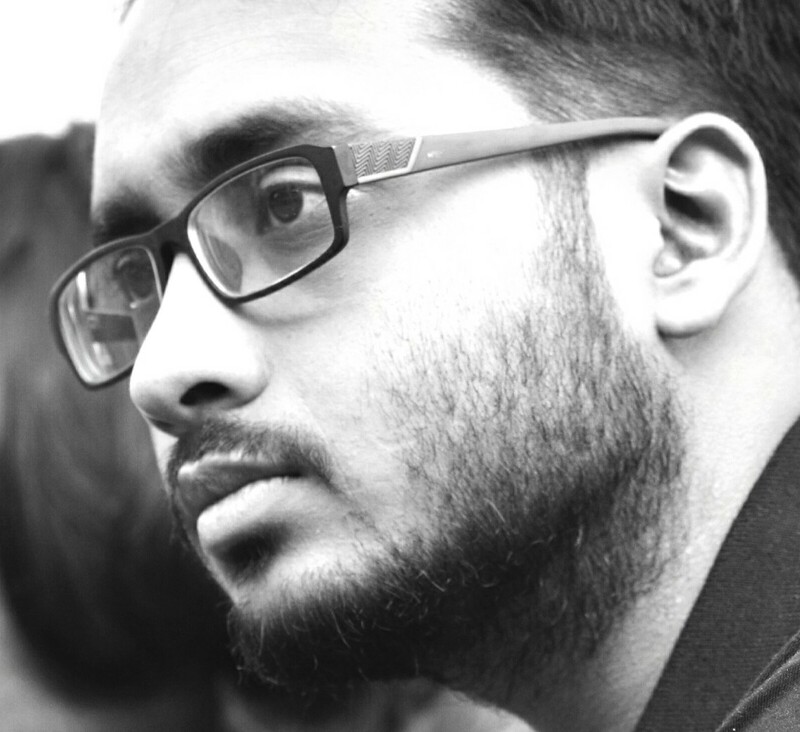 He is the Co-founder and Editor-in-chief of Sthapatya that aims at raising architectural awareness amongst the common public by using local language and colloquial glyphs. He is passionate about visiting places and exploring the local rituals, cultures, traditions, and people. He has served as the Convenor & Editor-in-chief of Indian Arch ’16, the annual student’s journal of National Association of Students of Architecture, India.